It’s a girl in stunning fuscia glitter with a sprinkling of pink stars. 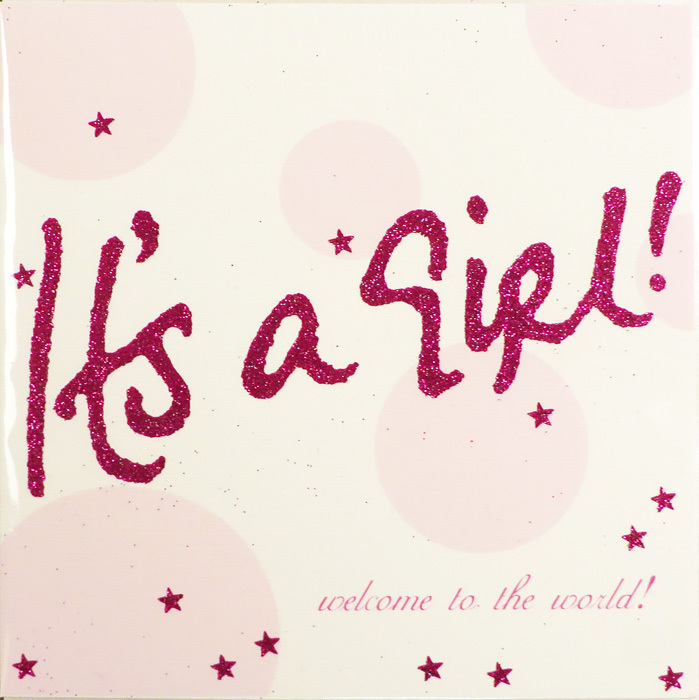 The words “welcome to the world” are printed on the front amongst baby pink spots. 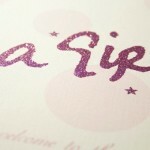 A perfect card for a celebration.